Strawberries have quickly become a staple in the produce section. No matter the season, these sweet snacks are available year round. Great in cereal and smoothies, dipped in chocolate, or as we prefer, all by themselves! 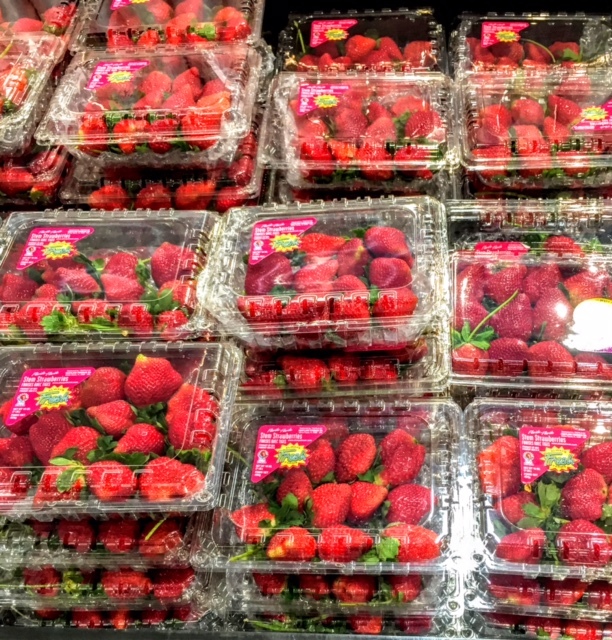 You can find comfort knowing when buying the Always Fresh Label each strawberry was cared for every step of the way. Thanks to California, Mexico and Florida, strawberries are available year round. While Florida is limited to mostly one main growing region, Mexico has two (Baja and Central Mexico) and California has three main regions (Oxnard, Santa Maria, and Watsonville). See the availability calendar below to find out where your strawberries may be coming from. For optimum storage, keep strawberries in the crisper drawer in your refrigerator between 32-36°F. Fruit that has been picked at the right time, and stored properly should last around a week after purchasing. To increase the life and freshness of your berries, do not wash until you are ready to enjoy.